Jel’a Vrao was born on Iridonia to uknown parents. She grew up with a zabrak she called her “uncle”, although it isn’t certain if he was her relative or not. Jel’a’s uncle was a heavy drinker burglar who would mostly exploit her to clean up his house, buy groceries and deliver stuff for him. He was still the only person close to a relative to her, but in return he would demand her obedience under the meneace of sending her away. The growing aversion towards the man, led Jel’a to become more and more reluctant to comply with him, and progressively more mischievous. At the age of 11, for the first time she had a great argument with him, to the point that the old drunken ended up beating her. In response, the day after, she emptied his “work bag” and filled it up with rocks. The old man found out about it only while he was effectively “at work”, and went close to be caught by the local authorities. After that, the man decided to fulfil his meneace of sending her away from home. Not knowing how to get rid of her, he decided to send her to the Jedi on Coruscant, apparently taking advantage of a friend who was about to go there. Jel’a always pretended not to care about his uncle’s decision, but in truth she felt hurt by his decision, since she didn’t really think that her only relative would abandon her. 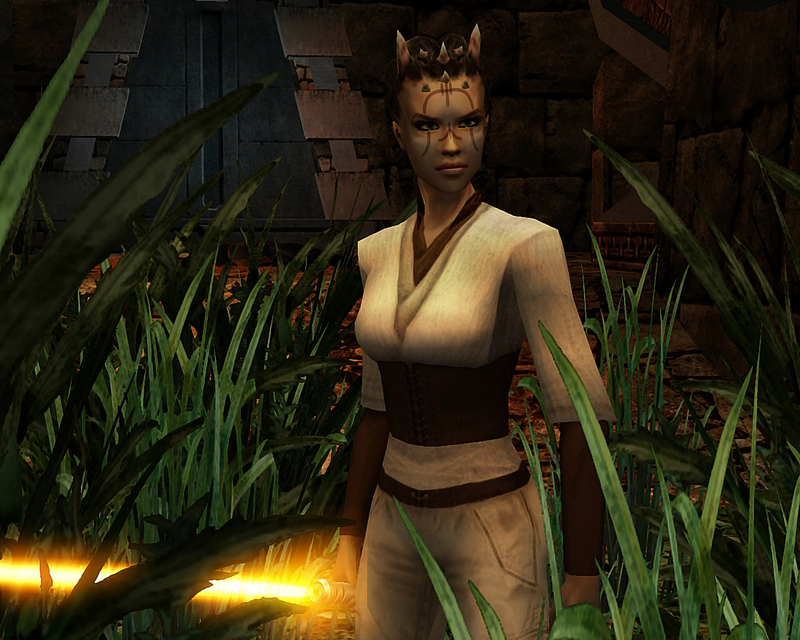 Once on Coruscant the young zabrak found herself well at the temple, but after a cycle she was sent to Alzoc III, being told that she’d be tested there.